Quick Name Search Info. 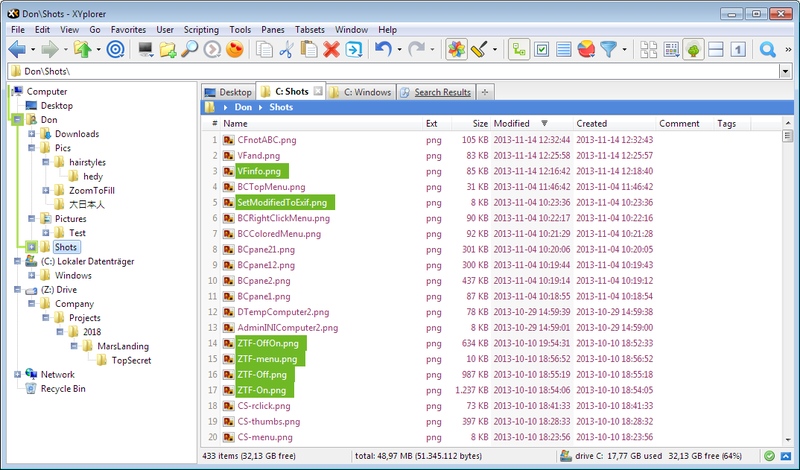 Now information on the current search pattern can be shown right in the file list. This feature can be toggled in Configuration | Find Files & Branch View | Find Files | Show name search information in list. The bar has a right-click menu with some useful commands. 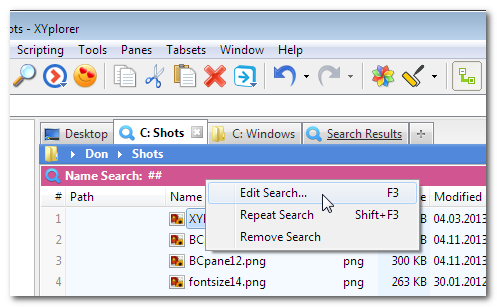 Quick Name Search is not the same as the more powerful Find Files feature located in the Info Panel (F12). 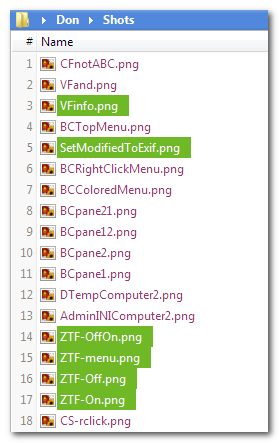 The latter does not show a message bar in the file list since it would contain only a fraction of the relevant information. Visual Filters Info. 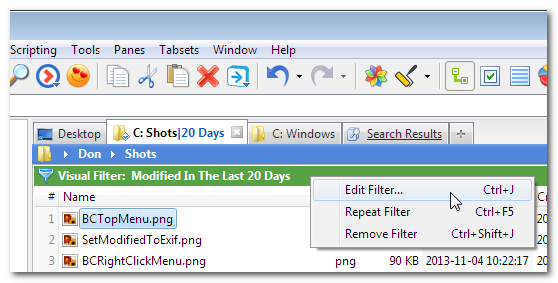 Now information on the current filter can be shown right in the file list. 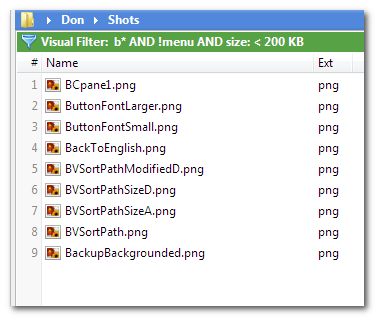 This feature can be toggled in Configuration | Find Files & Branch View | Visual Filters | Show filter information in list. The bar has a right-click menu with some useful commands. Visual Filters. Now Boolean AND is supported. Allows you, for example, to show only files that have "moon" in the name AND have been modified this week AND are smaller than 3 MB. The possibilities are endless. If you know what you are doing this is a very powerful enhancement. Color Filters. Now Boolean NOT is supported. Allows you, for example, to color all files that are NOT image files. For example, the pattern !a;b;c will match all files without "a", "b", and "c" in the name. 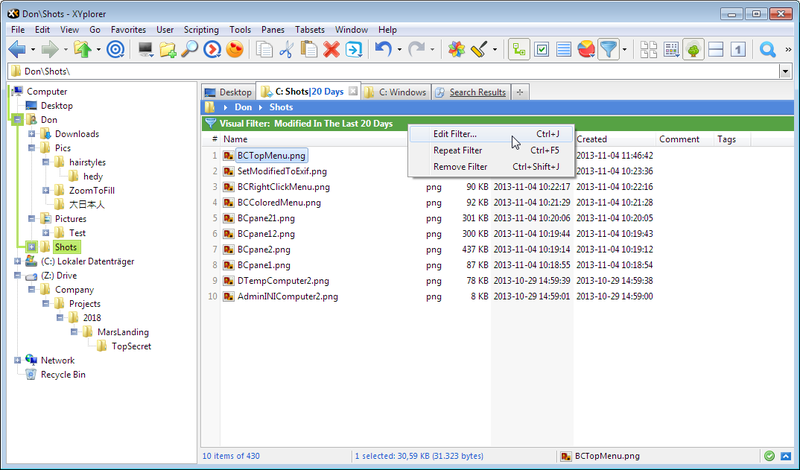 XYplorer 13.30.0100 has been released on 19-Nov-2013. It just has some minor bug fixes and enhancements.